The 408-unit Pearl DTC sold to a private real estate group of Goldman Sachs at a price of $298,406 per unit. Goldman Sachs acquired a gem in the Denver Tech Center. 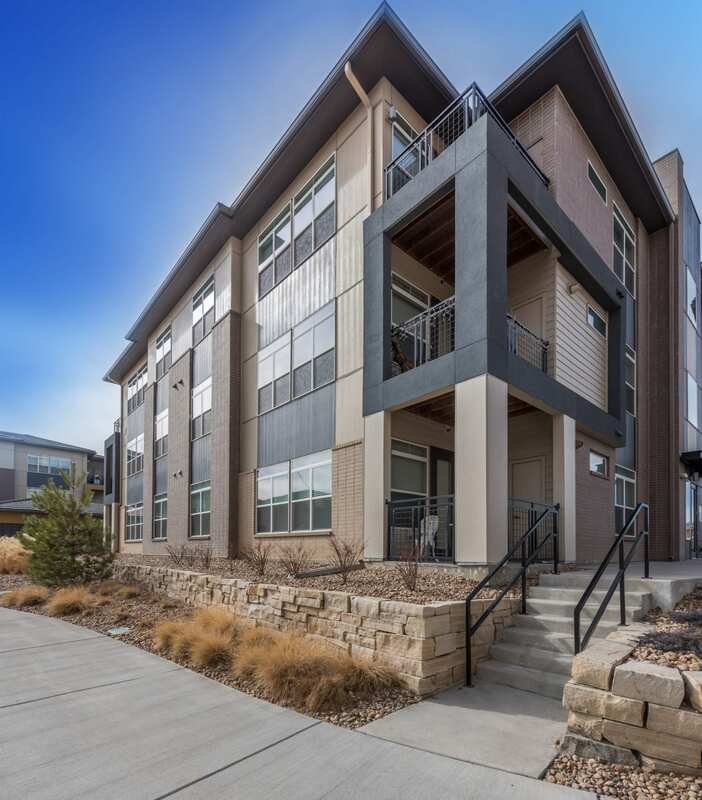 Sachs’ private real estate group out of New York recently paid $121.75 million for Pearl DTC, a 408-unit apartment community at 7571 E. Technology Way in Denver. And while the sale of the community was significant, more noteworthy was who was interested in acquiring it, noted Pam Koster of JLL. Koster, along with JLL’s David Martin and Mike Grippi, all formerly of Moran & Co., closed the transaction. Sachs was interested in Pearl DTC as it saw the property as a long-term investment in a market with strong fundamentals, commented Koster, adding that while Denver is expensive, compared with coastal markets, the cost to capital is more attractive in the Mile High City. Additionally, the buyer liked the DTC location, proximity to Denver’s largest concentration of office space and light rail. The community, completed in 2016 by Carmel Partners, which also sold the asset, is near Fiddlers Green Amphitheater, Comedy Works South, Interstate 25, Cherry Creek Reservoir, numerous restaurants and retail shops, and the Belleview light-rail station. Pearl is connected by a series of pocket parks and landscaped walking paths and features a 6,500-square-foot resort-style clubhouse with a fitness center. Additional amenities include a library, pet spa, conference/ dining room, indoor/outdoor entertaining kitchen, pool and spa terrace with a barbecue area, billiards clubroom, putting green, attended concierge desk, dry-cleaning drop-off, package and grocery acceptance, pedestrian access to light rail and daily coffee service. Apartments at the community, which range from one-, two- and three-bedroom units from 604 to 1,432 sf, include designer color schemes, quartz countertops in kitchens and bathrooms, kitchen islands, stainless steel appliances, plank wood style flooring in living areas, modern cabinetry, full-size stackable washers and dryers, oversized tubs, walk-in closets, additional storage space, energy-efficient lighting, fixtures, heating and air, pet-friendly accommodations and private balconies or patios. Some apartments also include five-piece bathrooms and attached and detached private garages. At the time of sale, Pearl DTC was around 95 percent occupied.